A product of ancient Atlantian super science the L.O.O.K.E.R. gun was a product of cooperation between the super science guild and the guild of entertainers which also had under its umbrella the society of illusionists and trickers. These guilds had strong connections to the Atlantian guild of religions and ministers of commerce. The L.o.o.k.e.r. gun is a device/weapon that simulates a color spray and invisibility spell tied into a spell like illusion effect upon the target if the target fails their save vs device. The L.O.O.K.E.R. project (Light Ocular-Oriented Kinetic Emotive Responses) creates all of the effects of a color spray spell compacted into a shot. The guns have a range of 100 feet per flash shot and the cells are good for about ten shots. Each gun will come with a case and two energy cells, the cells will mystically recharge if placed back in the case within 1d8 hours. Each creature within the cone is affected according to its Hit Dice should the target fail their device save. The creature is blinded and stunned for 1d4 rounds, then stunned for 1 round. The creature is stunned for 1 round. Sightless creatures are not affected by color spray. The guns sometimes come with wrap around protective occular devices. there's a 20% chance of a pair or two of these being present. 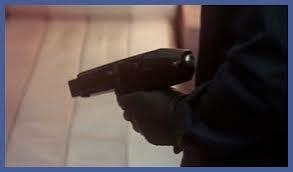 Those wearing a pair of these devices will be completely protected from the effects of the gun. 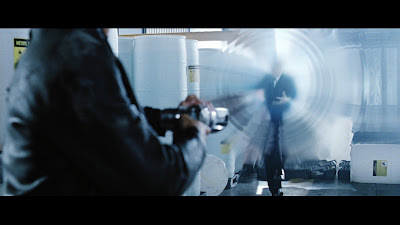 Those wearing the occular devices who are subject to the effects of the pistol have a 70% chance of reflecting the affects of the gun back on the wielder. 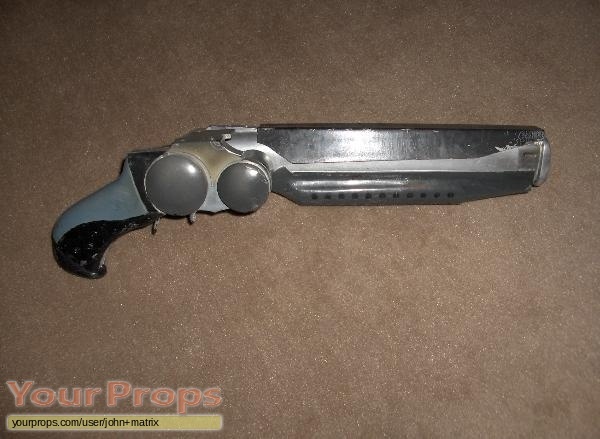 This is a variation of a weapon that appeared on the cult classic L.O.O.K.E.R film. This is a homage to one of my all time favorite guilt pleasure films not a trademark or copy right violation or challenge to the film or the role playing systems mentioned in this blog post. A weapon from the outer edges of Mu, the sonic tube of destruction is a weapon of incredible destructive power and violence that uses the Atlantian sonic wave principle and takes it to its logical conclusion . Powered by a mirco fusion cell & made from the alchemally hardened aurichalcum tubing this weapon represents another lost age. The sonic tube of destruction has a range of four hundred feet and creates a pressure wave of concentrated sonic energy that literally rips the target apart by shearing waves of micro sound. Targets must save vs device or suffer 5d4+2 points of damage as the cells of flesh explode and molecules of objects are stripped of cohesion. Those who make their saves take half damage & are stunned for 1d8 round. There is a 5% chance of permanent hearing loss or serious damage that only sorcery or magical healing will take care of. If the weapon is used more then seven times per day and the focusing elements not allowed to cool over night there is a 30% chance of the weapon exploding for 3d6 points of damage in a 15 foot radius upon the next time its fired. Sonic Tube of Destruction are still found in the outer providence city states of Thal and Mur along the edge of Atlantica territories. The weapons are highly prized by families of royal linage. They have been relics that blood feuds have started over in the past. Specially trained warriors in the past wielded these weapons against demons and other horrific threats from the Outer Darkness . But since the Green Death swept through Hyperborea for the third time the secret to these items manufacture and mix of science and super sorcery has been lost entirely. There are rumors of certain scrolls and manuals of the weapon masters of Thal that contain the secrets of the making of these relics of a lost age. Ruins of these places have been lost to the dimensional warps and machinations of Fairy over the years. Knights, warriors, and paladins who have quested for such places have never been heard from again. Making sonic tubes of destruction all the more prized and cherished by their owners. Note that demons and entities of the Outer Darkness &the Abyss loath these weapons and their owners . Some have been known to not only target such individuals but to seek them out after a melee or battle to exact painful humiliating revenges against them. Purple knights have a standing reward for these relics of 40,000 gold pieces or credits, they know of the legends and legendary auras surrounding them. 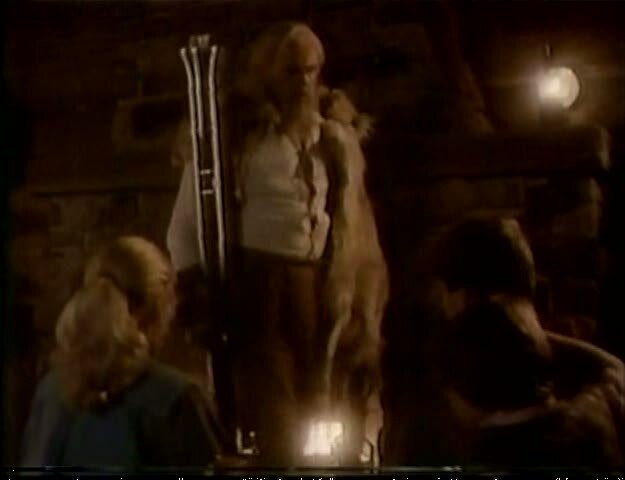 This is a variation of a weapon that appeared on the cult classic Other World television show. Details of the weapon were sketchy at best, so in the past I was forced to fill in the blanks. This is a homage to one of my all time favorite television shows and not a trademark or copy right violation or challenge to the show or the role playing systems mentioned in this blog post. Taking full advantage of the Atlantis sonic wave technology this device was used extensively in Atlantian outer colonies and splinter realms. This non lethal weapon uses a sonic wave to knock targets down at a range of 100 feet from the shooter. 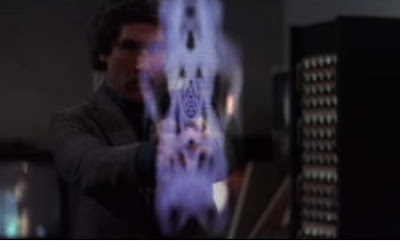 The weapon has a sonic generator and kinetic energy storage device just above the handle. Cocking the weapon brings the sonic energy into the firing chamber, the weapon releases a wave of sound energy at the target from the barrel. Those in the area of effect must make a device saving throw or suffer 2d4 hp damage and be stunned for 2 rounds after being knocked back ten feet from their original position. If the save is made the target takes no damage but is still stunned for 1 round. Because of the sonic pulse wave coming from the sorcerously hardened aurichalcum. The weapon can be used up to ten times per day but any more then that and there is a 1 in six chance of the sonic generator unit cracking and exploding causing 5d10 hit point damage to all within 10 foot radius. The weapon can charge up to fire in a segment and put a massive charge of sonic energy into a target. These weapons were once common throughout Hyperborea thousands of years ago but the Green death swept through the mystical workshop were these relics of a bygone age were made. Recent evidence points to these weapons finding favor with the Derro and certain other horrid creatures of the Hyberborean underworld who appreciate the virtues of a weapon that not only renders its target immobile but often times of very limited little to know psychical injures. These weapons often find their ways into the hands of slavers and royal warlords who uses the weapons for lightning slave raids and kidnapping plots against enemies. Often these weapons are highly prized finds in the vaults of certain ancient clans of high profile royalty whose ancestors used these weapons not only for crowd control and subject suppression. These weapons often fetch prices of 7,000 to 8500 gold pieces on the open market for these weapons are often considered family heirlooms passed from father to son. 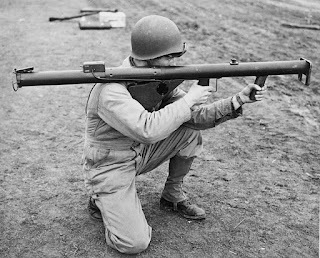 There may be more examples of these incredibly valuable non lethal weapons from a by gone age in certain wasteland ruins, buried deep under the Earth or hidden within vast underground Hyperborean vaults. This post is for entertainment and educational purposes only, there no intention to infringe upon the trade mark and copy right of the film Minority Report. If you've been following this thought exercise or campaign set up of mine then your possibly wondering what sort of bad things I'm I going to do with Edgar Rice Burroughs Pellucidar? Quite a bit actually. When we begin looking into Pellucidar, we're looking at one of the greatest of ERB's literary worlds. This is a mind mindbogglingly huge world of dinosaurs, prehistoric life, and lots of room for expansion. "We know that the crust of the globe is 500 miles in thickness; then the inside diameter of Pellucidar must be 7,000 miles, and the superficial area 165,480,000 square miles. Three-fourths of this is land. Think of it! A land area of 124,110,000 square miles! Our own world contains but 53,000,000 square miles of land, the balance of its surface being covered by water." This is the entire area covered by the novel At The Earth's Core and there's plenty of room for expansion. Mahars: A race of intelligent flying reptiles, about 6-8 feet in length, who appear to be one of the dominant lifeforms of Pellucidar. They live in subterranean cities and have telepathic powers. In addition to winged flight, they have webbed feet and are excellent swimmers. Sagoths: Semi-intelligent ape-like men who faithfully serve the Mahars. They have sleek black skin, large white teeth, short legs, long arms and thin prehensile tails capable of supporting their weight. They live in huts built in the trees, 50 feet above the ground. They have no weapons and wear no clothes or garments. They are very strong and agile and tend to grin and chatter. Primitive Humans: There are humans who live in Pellucidar, surviving with primitive tools and weapons in the dangerous jungles. They wear animal skins and metal jewelry. 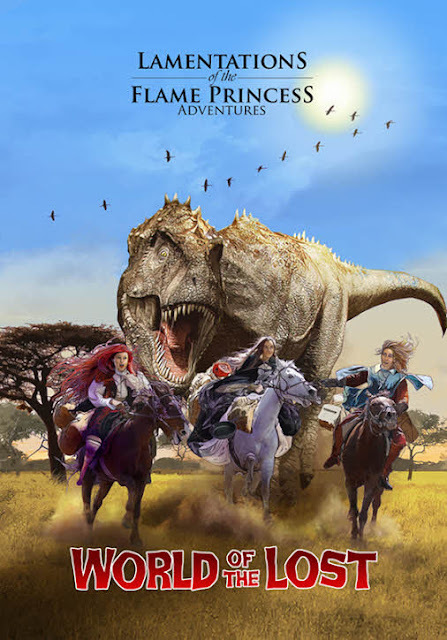 The lands are also inhabited by a wide variety of dinosaurs and prehistoric creatures, including saber-toothed tigers (tarags to the natives), cave lions (felis spelaea), cave bears (ursus spelaeus), giant sloths (megatherium), hyaenodons, mastodons, and raging bos (thags to the natives). The skies are dominated by fierce pterodactyls (thipdars to the natives). The waters are inhabited by all manner of prehistoric monsters and serpents including labyrinthodons, ichthyosaurs (azdyryths to the natives) and plesiosaurs (tandorazes to the natives). Basically Glick PC's can't get lost or separated from the place that they were born in. With a simple Wisdom roll the PC will know the direction, foot time, and distance to travel from their current position in Pellucidar. They do lose this ability if they travel outside the bounds of the inner world. Everything that a DM needs is mostly contained within the first two novels, At The Earth's Core and Pellucidar. But for decades fans have been mixing in and matching elements from other 'lost world' novels into the mix. This includes both official nods such as Dr. Eric John Holmes novels Mahars of Pellucidar which is in a class all by itself. To the more recent mockbusters like the Ayslum's Journey to the Center of the Earth. There has been speculation that the inner Sun and moon of Pellucidar are responsible for dimensional anomalies, gravitational phenomena, and dimensional gates going back before the Innes expedition. There is speculation that the inner Sun of Pellucidar is in fact a black hole and at least partially responsible for some of the incredible effects of time, space, and energy within Pellucidar. The Star of Pellucidar article by Den Waldron touches on exactly what and how such a star as black hole might operate. Mr. Valdron takes the speculation a step further to talk about the connection floating islands, gravitational gates, and survival of prehistoric species in Next Stop Pellucidar. So to take it a step further into speculation, the ecological and entire structure of Pellucidar doesn't make any sense unless it's an artificial creation and I personally think it is. In fact, I think that its the creation of a race higher dimensional entities that watch over the place. To take it even further I think that the micro campaign settings that have been all of the rage lately in the White Star Rpg system. But this approach isn't new at all. There have been underground kingdoms, lost worlds, etc. going back before the release of Pellucidar. Personally, in my humble opinion to rip off an idea from comic books every dungeon underworld is a reflection of others across the planes. Cross from one and you might find yourself in another. These transitions can be bone ripping trips from the underground world of Journey to the Center of the Earth to gradual transitions on boats, planes, etc. to other worldly seas ala The Lost Continent movie . All of these places of Terra Obscura are all connected in one way or another with Pellucidar. In fact for game play with free adventures like the Stone Alignments of Kor Nak there are several places in the underworld that can lead straight into micro adventure campaign places like Pellucidar. There by providing the party & DM a perfect venue to use ERB's creation as as a nice Appendix N variety. This leads back to the speculation that perhaps all of these lost worlds and forgotten kingdoms lead back into Pellucidar via dimensional gates, keys, and other tunnels but why? And what does this have to do with an upcoming title for the Lamentations of the Flame Princess rpg? More coming up in part Three. 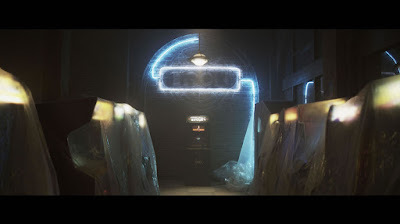 Could this arcade warehouse be the resting place for a murderbot? Sent across time and space by the Kung Fuhrer, these horrid transforming murderous robots pose as mild mannered arcade games. These things can be found in the post apocalyptic wastelands, alternative timelines, dusty arcades of the past, in corners of restaurants and pizza joints in some space ports, & even in the ruins of the deepest mega dungeons. The barely restrained violence of these machines is fueled by a murderous A.I. whose appetite for destruction is held in check by a constant flood of quarters, credits, and gold pieces. Murderbots once per round may create a pleasing pattern of eye catching graphics and pixels that acts as a charm spell, targets must save vs wands or be lulled into trace like state. They will be compelled to keep playing the fiendish game until all of their savings are gone. There is 60% that a post hypnotic suggestion will compel the target to return as soon as possible to repeat the experience. 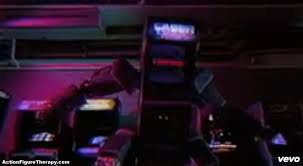 Any violence or swearing against the stand up arcade game has a 50% chance of awakening the transforming robotic horror! Murderbots transform into their battle forms with 1 turn. They sprout arms, legs, and faces upon their screens with expressions of pixeled hatred and rage. There is a 30% of the murderbot having a unique or signature weapon often reflecting the 'theme' of its game. Most often this will be a built in machine gun system built into the forearms of the bot and capable of doing 3d6 +2 points of damage per shot with a range of 200 feet. But there is 20% chance of the bot having an 'upgrade' to a laser weapon capable of 4d6+3 damage with a range of 300 feet. Each time the bot is engaged in combat there is a 20% chance of it going completely berserk attacking at random anyone within range. They are terrifyingly strong and capable of smashing through ordinary doors like tin foil for example it will smash through a convenience store locked reinforced door within 5-8 melee rounds. It does 1 point of structure damage to modern doors every 3 rounds. All this power comes with a price within 10 rounds a quarter, gold piece, or other monetary coin amount must be placed within the coin slot built into the bot or it will lose its weapon systems. These beings are completely immune to all illusions and mind affecting spells but they are vulnerable to light spells in their optic sensors. This will disorient the murderbot for 1d4 rounds. Because of the violent nature of these psychotic machines they cause fear in all creatures less then four hit points. All normal construct and golem strengths apply to the murderbot. Electrical attacks such as lightning and magical electricity restores the murderbot in direct relation to the number of dice damage the murder bot has sustained. This is a result of the twisted Nazi super science of the Kung Fuhrer. 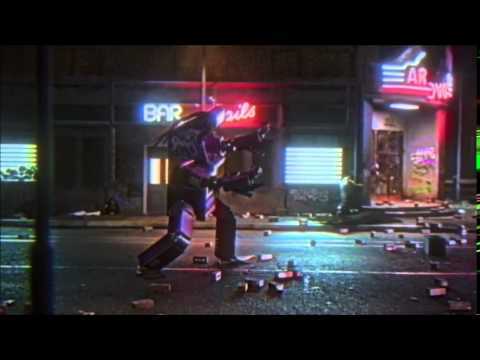 Murderbots also spy and gather information in dens of inequity and depravity such as smoke filled taverns, bars, and other locations where the forces of 'good' come to unwind. They act as spies reporting back to their masters to unload vital information. These arcade themed horrors are smart enough to often move and will depart immediately if discovered after having murdered their discoverer. 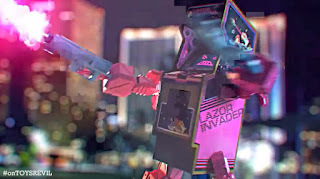 Note that this is no way an attempt to violate the copyright or trade mark of the makers of the awesome Kung Fury. This is just my homage for the awesomeness that is this film for use in your old school campaigns. Inspired by Wisdom from the Wastelands Issue #15: Robots Part 1 for some of the murderbot's systems. Nasty and dangerous the feathered laser raptor is a freakish hold over from several alternative worlds that existed in the so called Viking Age. These mutated and cunning fiends haunt wastelands in the never ending search for prey. They attack with laser like optic blasts that do 3d6 points of damage per blast up too 200 ft ten times per day. These deadly hunters are both omnivorous and superior hunters, able to take down prey many times their size. The Feathered laser raptor attacks with its optic blasts followed by its two sickle like claws and a devastating bite. The monster feeds on the well cooked meat and ash of its prey. During the Viking era flocks of laser raptors roamed through the wastelands making life very hazardous and dangerous for local tribesmen. These fiends are also cannibals and will feed on their own kind if prey animals or hominids are in short supply. Because packs of laser raptors are common in some areas of the wastelands of Norway during the Viking era, many tribes of warriors have imported fire arms from across time & space to help them cope with the problem of these mutated horrors. The feathered laser raptors mate in the spring time and typically have clutches of four to six hatchlings. At four days old the baby laser raptor is capable of producing a blast with a range of eight feet that does 1-4 points of damage. They begin hunting among the flock at eleven weeks until then the mother watches over her brood. Laser raptors are far too dangerous to make companions or animal familiars. They will attack and kill anyone attempting to charm them or use magic spells to try and domesticate these horrors. There is speculation that they were bred bio weapons of terror. The laser raptor family of creatures has been found throughout the multiverse and on other planes of existence. Note that this is no way an attempt to violate the copyright or trade mark of the makers of the awesome Kung Fury. 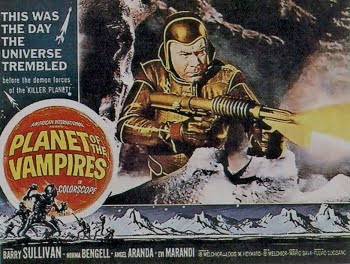 This is just my homage for the awesomeness that is this film for use in your old school campaigns. Partially inspired by the Wisdom From The Wasteland issue four five from Skirmisher publishing. Mystic ancestor trumpeting call echoes across Hyperborea and into your old school campaign! Deep in the ancient Hyperborean lands and mountains are noble creatures who are mystically bonded with the tribesmen and warrior clans they call family. Beings that watch over the grave yards of both their ancient linage and are coming back to the world of man once again. 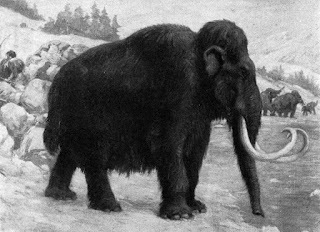 The mystic ancestor mammoths are creatures of more noble bearing and have about them an aura of power and majesty. These creatures have bloodlines stretching back to the days of ancient Atlantis and had their very souls uplifted to watch over their species. These being's spirit reflections choose noble warriors from nearby tribes of hill people, Norsemen, and other warriors. They are often the guardians of great herds of mammoths whose movements, lives, and life cycles are tied into the very existence of tribal life around them. These creatures stand some seventeen feet at shoulder and while they lack the ferocity and raw rage of the Woolly Mammoth Superior (see page 65 of the Referee book of AS&SH) the mystic ancestors act as rulers and guardians in the stead of these creatures of raw nature. They seek out their chosen tribes in times of war, and of great significance when the herds of mammoth that the very lives of these tribesmen depend upon are threatened. They are the enemies of Chaos and evil watching over the Mammoth graveyard lest the necromancers of Xanthoqqua corrupt the bones of their ancestors and animate them as war beasts. The gods of the Mammoth warriors look upon such heresy with disdain and violence. These noble creatures lead great herds of mammoths through the dream time as well as the world of the waking upon Hyperborea and are accompanied by their owner/companions. These are sometimes whole family lines stretching back into eternity. The one weakness of these creatures is the rate of birth for such creatures is very few, only one or two are born every few years. Once per day the mystic ancestor can trumpet and cause fear in all within a 100 foot radius three times per day. Those of the tribes that these creatures watch over are immune to this ability. These creatures have the berserk ability common to other mammoths but they are far more dangerous gaining a +3 to hit and +3 to damage but will not attack their human masters because of the mystic bond. Mystic ancestors have morale of twelve should any member of their family unit be harmed.They will pursue and trample such individuals. Those who under go thirty hour the rites and rituals associated with these creatures gain +3 to their strength and constitution as well as a +2 on their wisdom. But they also gain the outlook and insights of the mystic ancestors. They will be plagued by dreams, visions, and nightmares of past herds. The owner must roll their wisdom during times of anger to keep their rage and temper in check. The ancestors will bond with shamans, warriors, fighters, and rangers but never ever with berserkers. The warrior spirits of berserkers are things of extreme violence,war, and insanity. And while they have their place it is not within the minds of mystic ancestors. Those bonded with these noble creatures gain the wisdom and insight of these beings but also gain an incredibly stubborn resilience in their outlook on life as well as gaining 1d30+2 plus years to their lives. Those bonded also have a brooding and abiding anger about them. They are often welcome into their tribes but ultimately looked upon with a bit of disdain by their tribes preferring the company of the mammoths to friends. Family however sometimes share this same outlook. Those warriors who bond with mystic ancestors have telepathic bonds that stretch over several life times. Should a mystic ancestor be killed the companion will take 1d4 points of damage and sink into a deep depression. There is only a 10% chance of them recovering from such a loss. Shamans may help them through such a rite of recover but there is only a 5% chance of this happening. Some bonded warriors are broken and never right again. Shamans must sometimes tend their spirits in the afterlife and consult those who pass on to the spirit herds for guidance and advise as they ease their passage among the grasses. Those warriors who are bonded with the mystic ancestors gain +2 on all tracking as their sense of smell gains a near supernatural edge. They may once per every two days go without food or water over great distances for purposes of combat and travel. 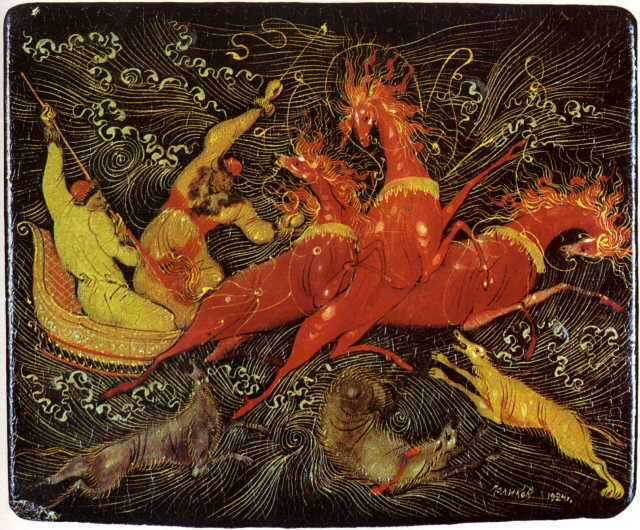 This ability burns their bodies up with the mystic energies of their companions and both must rest afterward. Mystic ancestors loath and hate things of the Abyss, they gain a +3 when fighting such beings and their true power will be revealed. They will fight to destroy such threats to tribe and reality. The ancestor will not stop until every last bit of such a horror is obliterated from the face of a field of battle. Carried on the Boreas winds from the Outer Darkness there are things that slip between the cracks of reality, resembling lean and hungry wolf like demonic things. The wolves from strange aeons glide along the half real psychic winds winding their way across the planes and dimensions. They are ancient and hungry Lovecraftian horrors that come to feed when they cross the dimensional threshold onto a plane. Until this happens the wolves exist as a hazy ghostly outline and can only be damaged by magical or certain technological artifacts. Those who cross the threshold into the Astral or edge's of the planes risk being hunted by these things. "There were hints of it in the cryptical Pnakotic fragments, and a whole chapter in the forbidden Necronomicon of the mad Arab, Abdul Alhazred, had taken on significance when he had deciphered the designs graven on the silver key. A gate had been unlocked - not, indeed, the Ultimate Gate, but one leading from Earth and time to that extension of Earth which is outside time, and from which in turn the Ultimate Gate leads fearsomely and perilously to the last Void which is outside all earths, all universes, and all matter. The Affair that shambleth about in the night, the evil that defieth the Elder Sign, the Herd that stand watch at the secret portal each tomb is known to have and that thrive on that which groweth out of the tenants thereof: - all these Blacknesses are lesser than HE WHO guardeth the Gateway: HE WHO will guide the rash one beyond all the worlds into the Abyss of unnamable devourers. For He is 'UMR AT-TAWIL, the Most Ancient One, which the scribe rendereth as THE PROLONGED OF LIFE." Ages ago, a Hyperborea sorcerer called upon these horrors and now the gateway is open and these things can appear anywhere but seem to haunt the edges of reality and they come to fed on the souls of all. Only the symbols of 'UMR AT-TAWIL, the Most Ancient One, can keep these things at bay. These monsters are at home in both urban environments, the most frozen tundra, and even temperate regions of reality. 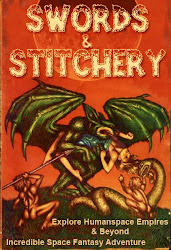 These horrors are made up of strange and weird shifting tendril like flesh growths that takes the place of real flesh. Even as one watches these wolf like demonic horrors it becomes apparent that these things are nothing less then mere mockeries of life as we know it. They appear as strange semi shadowy nightmarish things in packs only gain solidity in an instant in order to crush flesh, bone, and souls like with mighty tendriled bites. They are immune to cold, take half damage from electricity, and the airless void of space. Once every six rounds they may let loose a bone chilling howl which will cause fear as per the spell or create what is known as 'the autumn wind'. A blast of soul searing unreality in the form of a cone of eye searing horror, the blast is ten foot long and ten foot wide at its terminus. The blast causes 4d6 hp damage with an avoidance save allowed for half damage. The wolves from strange aeons then come to feel on what remains of their victims including the souls of the poor fools who are their victims. Those who survive an attack by the wolves will live in utter fear of these horrors and there is a 30% chance of the keen and twisted alien minds of these horrors remembering the true names of their victims and tracking them down months, years, or decades later to murder them in their sleep. The wolves from strange aeons loath winter wolves of Hyperborea but are often summoned by the Men of Leng, their lord is the enemy of Ythaqqa. The wolves may be given pause he strides the winds of Winter and terror. The wolves may be summoned by an evil 4th level black magick rite at certain twisted sites and where weird spires around the edges of Hyperborea are found. Places where the Boreas winds blow and they come to sup and sup well on the souls of men where they are summoned by those who remember the old ways of Hyperborea. But then again these monsters may be found anywhere that the old religions of Hyperborea are practiced and the hills ran red with the blood of innocents.